TVS Motor Company has launched the 2018 TVS XL 100 i-Touch Start has been launched at a price tag of Rs. 36,109 (ex-showroom). New variant The i-Touch Start is positioned above the Heavy Duty variant which is Rs. 2450 cheaper than i-Touch. Base variant is the XL 100 Comfort variants which are priced at Rs 33,000. 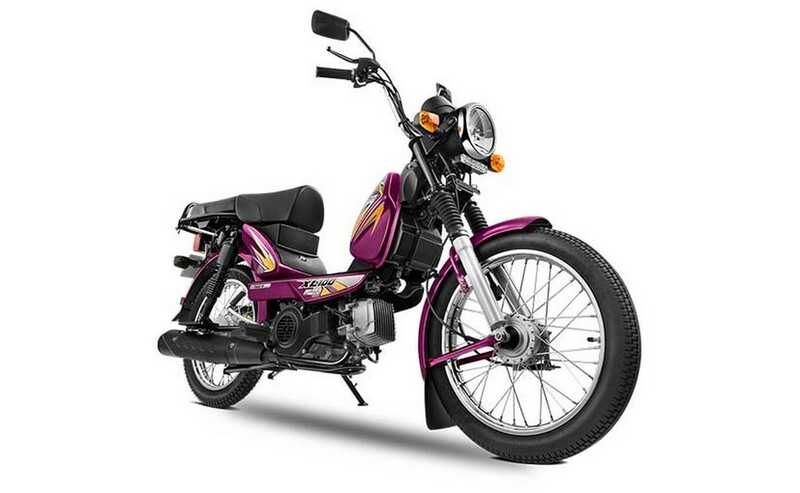 Besides, the moped also gets a split seat setup (which can be removed as well to mount more luggage) and is also available in colors like Red, Green, Grey, Blue, and Black. The XL 100 i-Touch is powered by the same 99cc motor. It continues to draw power from a 99cc motor that produces 4.3 HP of power and 6.5 Nm of torque. The powertrain comes mated to a single-speed gearbox. Claimed top speed and mileage is 60 km/hr and 67 km/l respectively. Suspension duties are handled by telescopic forks at the front and twin hydraulic shock absorbers at the rear. Braking performance is via drum brakes at both ends.